The horse meat scandal continues. 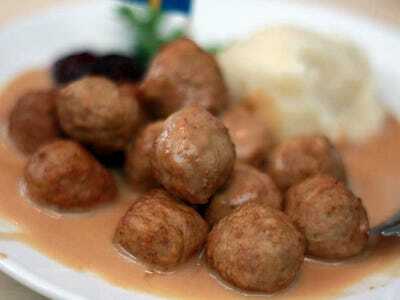 Inspectors say they’ve found Ikea Swedish meatballs contaminated with horse meat in the Czech Republic. The Czech State Veterinary Administration has confirmed on its website that the meatballs, which were made in Sweden, had horse DNA. Now, they’ve suspended all shipments of the meatballs. All meatballs sold in American Ikea locations are sourced from a supplier in the U.S., according to Ikea. The furniture chain joins Burger King, Nestle, and Tesco as another big brand that has been affected by the horse meat issue.